A document scanning service allows you to outsource the document imaging process to a third party. When you hire All Pro Solutions, we handle all of the document preparation, scanning and quality control processes then give you a series of images and text files that can be uploaded into your document imaging software. If you donâ€™t already have document imaging software, we will be happy to work with you to find the best solution for your needs. The images will be delivered back on fully searchable CDâ€™s or DVDâ€™S. Outsourcing is particularly useful to help address Backfile Scanning Projects or when you want to focus your team on revenue and value generating activities. We pick up your documents or you ship them to us. 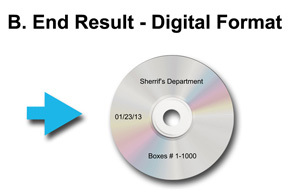 You will receive a disc with all the electronic files that were scanned. The structure will be the same as above, i.e. 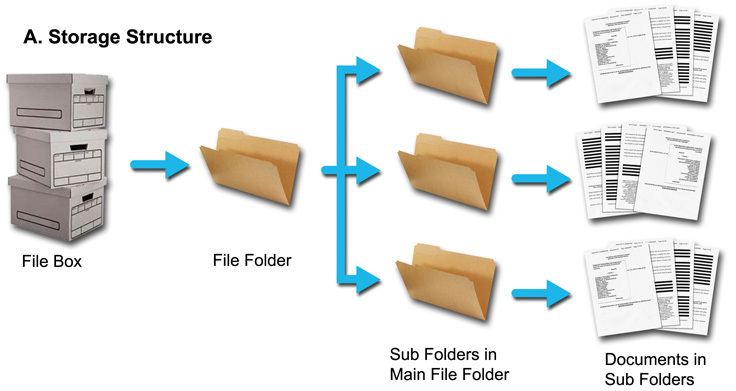 folder, sub folder, documents. Save Time â€“ Scanned documents can easily be accessed at a computer in seconds. Once scanned document has been accessed, printing and emailing is a click of a button. Save Space â€“ A single CD-ROM can hold 18,000 to 20,000 scanned pages. This is the equivalent of 2 file cabinets worth of paper. A server can hold 100â€™s to 1000â€™s of CDâ€™s worth of scanned data and web repositories like can hold an unlimited amount of scanned images at economical rates. Disaster Recovery â€“ The imaging service allows Documents that have been scanned to be easily backed up and protected on network servers or by electronic storage. Productivity Gains â€“ Studies have shown that employees spend 20% of their day searching for information. Using document management software, users can access decision making information in seconds, saving time and improving productivity. Security â€“ Paper-filing systems are susceptible to misplaced, stolen and lost documents. Using comprehensive records management software will provide additional security and user tracking to protect scanned documents. Collaboration â€“ Many records scanning systems integrate with business applications allowing faster access and the ability to share information in real-time. Customer Satisfaction â€“ Response times are reduced, information is available in seconds from a computer, remote locations and global business offices are connected and able to respond to customer needs faster and more efficiently when an imaging service is initiated. Regulatory Compliance â€“ Regulatory guidelines such as Sarbanes-Oxley and HIPAA have pushed companies to records scanning service because the technology does not allow information to be lost or stolen, scanned documents cannot be edited and document management software systems offer additional securities and controls that paper record keeping cannot provide. 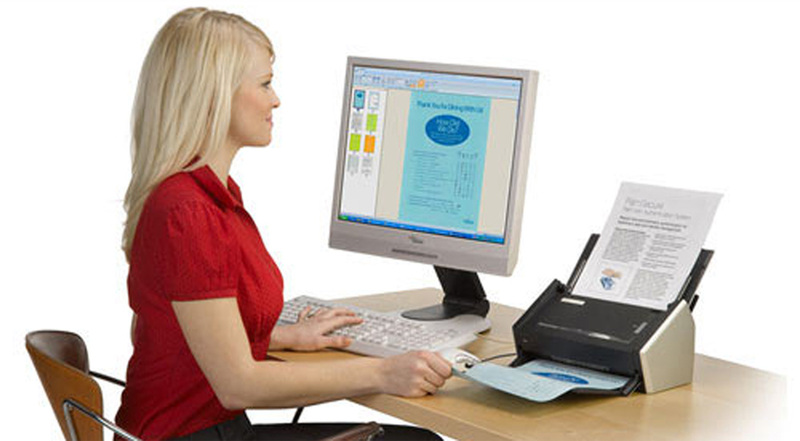 Green Initiatives â€“ Scanning documents reduce the amount of paper that is printed. With work group and collaboration tools the result is less paper documents are produced.